NEW YORK, March 26, 2019 /PRNewswire/ --Rapid inclination of consumers towards sport nutrition on the coattails of rising awareness regarding health and nutrition-related issues has been influencing the demand for protein hydrolysate ingredients, mostly whey variants, in the recent years. Numerous health benefits of whey protein hydrolysate ingredients and their derivation from best sources of protein are the key factors expected to increase the consumption and give a boost to growth of global protein hydrolysate ingredients market. 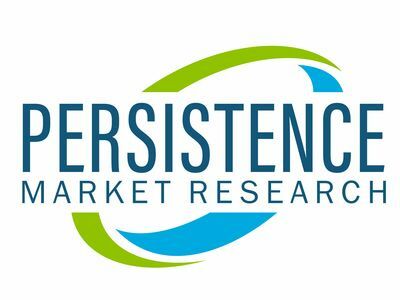 The global market protein hydrolysate ingredients is estimated to be valued at US$ 1 billion in 2018 and grow at an significant CAGR of 7.3% to double the total revenue through 2018. Despite their dominance, whey protein hydrolysates are likely to be on the verge of facing saturation in the global protein hydrolysate ingredients market, which is projected to surpass US$ 1 billion by 2028-end, owing to their easy applicability, versatility, and great taste over other variants. Based on consumption, the segment for whey protein hydrolysates is foreseen to attain a volume of more than 59,000 MT by the end of the forecast period (2018-2028). Further, increasing demand for whey protein hydrolysate ingredients among athletes, sportspersons, and health-conscious population is likely to complement the market growth. Meat protein hydrolysate ingredients, on the other hand, are anticipated to represent a lower growth rate due to decreasing number of consumers preferring products processed from meat. This is further likely to be affected by growing vegan population across the globe. Casein protein hydrolysate ingredients and plant protein hydrolysate ingredients are anticipated to witness a promising rate of consumption during the forecast period, while milk protein hydrolysate ingredients will possibly register a moderate consumption rate between 2018 and 2028. Growth in number of specialty food ingredient processing industries in developed countries such as the United States is influencing North America to reign supreme in global protein hydrolysate ingredients market. Emerging economies including China, India, and Southeast Asian countries have been witnessing a steady growth of specialist nutrition market, which is predicted to favor the adoption of protein hydrolysate ingredients in the near future. China will remain the most lucrative Asia Pacific region for protein hydrolysate ingredients market, accounting for substantial value share over the forecast period. China's one-child policy has been influencing consumer interest in specialist nutrition product, while its increasing geriatric demographic is expected to drive the demand for protein hydrolysate ingredients which are nutritionally beneficial and promote faster postoperative recovery. Hydrolysate-based infant formula products have been gaining increasing popularity in Chinese market, which is further driven by launch of various infant and toddler formula in the country. These factors have been envisaged to determine the prominence of China in the global protein hydrolysate ingredients market. Hydrolysates are considered to impart bitter taste in food products, and therefore a focus on the development of products with improved taste and reduced bitterness remain one of the important growth strategies of key players operating in global protein hydrolysate ingredients market. They are further targeting on producing the ingredients that can be added to a number of food & beverage products without compromising their original taste. With rapid penetration of new players, the global protein hydrolysate ingredients market is expected to reach a saturation point where growth in production will either meet the demand or surpass it over time. Leading players operating in the global protein hydrolysate ingredients market include Arla Food Ingredients, Costantino & C. spa, Fonterra Co-operative Group Limited, Armor Proteines, Kerry Group Plc, Glanbia Plc, Carbery Group Limited, Davisco Foods International, Inc., Hilmar Ingredients, FrieslandCampina N.V., Tate & Lyle plc, Abbott Laboratories, Agropur Inc., Danone S.A. and Archer Daniels Midland Company.